Long spared, the business insurance sector has been hit hard by the digital revolution and the emergence of start-ups that are upsetting established models. Even though the disruption is not as radical as in other industries, such as media or retail, or as far along as with mass market insurance (savings, housing, vehicles, life insurance, etc. 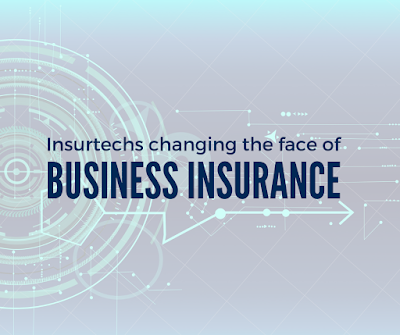 ), the insurtechs are forcing the insurance world to reinvent itself, operate differently, integrate into larger ecosystems, innovate more rapidly, and so on. Whereas start-ups are enjoying successes that are laying the foundations for Insurance 3.0, the real challenges are yet to come in an industry that is unaccustomed to frenetic paces of transformation. Paradoxically, insurance brokers, who have monopolised direct relationships with companies by offering a more complete customer experience than insurers, could be more directly affected than insurers themselves by the tidal wave of the digital revolution and the emergence of the insurtechs. Smooth everyday management with brokers who, in some countries like France, have broad management powers and purely and simply replace insurers’ back offices. Even though brokers remain at the cutting edge of innovation when it comes to putting together insurance solutions and negotiating with risk carriers, they are now experiencing disruption and challenges. This is primarily because they have not always anticipated new customer behaviours and expectations with regard to management, distribution and advice. Consequently, they are on the front line facing insurtechs who are rethinking the customer experience, developing new uses, mastering the most advanced technologies and changing the face of business insurance. In 2018, the insurance sector can no longer avoid the wave of transformation that has reshaped many business areas: Amazon in distribution, Uber in transportation, Airbnb in the hotel trade, and so on. These “legacy-free” companies have rethought the customer experience with two watchwords, simplicity and efficiency; one guiding principle, the customer experience; and one ultimate goal, customer satisfaction. How does customer experience impact the value chain? This is the big question, and the answer makes our head swim: from distribution to subscription and advice through day-to-day management and compensation, everything must be rethought in terms of simplicity and fluidity. This is a daunting task for a world which has shaped itself for decades in complexity and breaks in the value chain and which sees servicing as less important than advice and intermediation. This has moreover proven costly for some actors, who have been forced to take pay cuts to retain unhappy customers. Yet the customer experience is more than a “must-have”; it is an extraordinary lever for value creation, as Frank Gehrig³ explained in urging our industry to model itself on Netflix, which has raised its prices twice over the last two years while continuing to attract record numbers of subscribers. Why? Because its customers are happy, seeing as how Netflix reinvented video streaming. Even though players are starting to take the measure of these changes, it is insurtechs that are pressuring established models to evolve. How? By challenging incumbents’ value proposition and trying to respond directly to the practices and customs of both present and future generations. In 2017, the insurtechs attracted over USD 2 billion in investment, with sharply increasing inflows over the last three years. How do the insurtechs break down? 40% offer services and technologies to insurers and brokers, 38% propose digital insurance solutions for private and professional customers (without covering risk), and 12% provide collaborative insurance and group purchasing. Finally, the others cater to private individuals and companies. Distribution challenges: simplicity and customization. Insurance distribution is undoubtedly the link in the insurance value chain that is the most affected by the rise of the insurtechs, 38% of whom are insurance brokers. Whereas this is plain to see with the private customer segment – where comparators like Le Furet or online distributors like Direct Assurance or Coverlife have enjoyed spectacular successes –, it is less obvious for companies, which face more complex risks and prefer tailor-made solutions to products. Yet no segment can escape the digital revolution, as can be seen from the success of the broker +Simple. Eric Mignot and his teams realised that the segment of very small enterprises or VSEs (companies with fewer than 10 employees) was a “blue ocean” that was relatively unexplored by the major insurance players. Too complex for private customer insurers who are accustomed to the mass distribution of highly standardised products, it is a difficult segment for corporate risk players who are not comfortable with distributing complex solutions at competitive costs. It was therefore necessary to “industrialise a tailor-made approach using technology. So what did the founders of +Simple do? They disrupted insurers’ subscription logic. And what was the result? Instead of answering dozens of questions, with a few clicks, a VSE can take out insurance to cover its main risks then experience 100% digital management. Another strategic choice by +Simple was to offer its solution to distributors, be they insurance brokers, bankers or insurers. This example makes us wonder whether this model can be transposed to larger companies, and whether it foreshadows a redistribution of roles between incumbent brokers and start-ups. The question becomes more acute or even pressing if we consider the disruptive approach adopted by Alan, which is targeting the health insurance of SMEs, the self-employed and the VMEs. Founded in 2016, this start-up has already raised €37 million, following in the footsteps of the American firm Oscar Health. However, Alan is not a broker looking for partnerships, but rather an insurer offering companies 100% digital solutions. And the most astonishing part is that Alan’s disintermediation approach may well be boosted by the strict regulations in the health insurance sector which, with supervision of “responsible” insurance contracts and zero remaining amounts, is moving towards the “commoditization” of this type of coverage. Borrowers’ insurance is another example of the revolution combining regulation and technology. This market worth €9 billion in premiums was dominated by bankers until the Lagarde, Hamon and Sapin laws gave borrowers an opportunity to go elsewhere and made annual termination possible. Even though nothing would have been possible without this regulatory evolution, it is not enough on its own. Indeed, bankers are still displaying extraordinary resilience with a market share of nearly 85% – despite a cumbersome subscription and medical approval process and uncompetitive rates. The lines are starting to move: spurred on by reinsurers who had developed algorithms for scoring insurees’ health status, in a few months insurtechs like Utwin, BPSIs and Lifesquare prepared offers to allow online subscription of borrowers’ insurance, reduce medical formalities and make them fluid and easy to manage while ensuring substantial cost savings for borrowers. Within months, these insurtechs have emerged as partners of bancassurers, real estate brokers and insurance brokers while also competing with them. Certain evolutions, which sometimes appear less radical, are mapping out a future where incumbent distribution models will be disrupted. Just look at how the broker Coverlife (a specialist for individual healthcare insurance) is revolutionising the distribution of insurance that looks simple but is complex and costly to sell, thanks to digital qualification of prospects and sales paths that lead consumers through a conversion tunnel up to the act of purchase. In four short years, this young start-up has posted one of the best growth rates on this market and has just introduced AI-driven algorithms and semantic call analysis, making it possible to perform ultra-customised commercial operations in real time. Without going as far as selling complex insurance online, digital technologies will let us, on the one hand, identify and qualify companies with a desire to change, and on the other hand, avoid long and costly approaches to highly solicited prospects who are perhaps not expecting anything when they are contacted. To understand how digital market targets both SMEs and the middle market, all we have to do is look at the giant Salesforce. The company, which has consolidated all its marketing teams in Ireland and whose salespersons only travel for ultra-qualified prospects, boasts conversion rates that would be the envy of the most talented sales team. AI, smart data, machine learning… The consulting world is discovering that it can become much more relevant if it manages to exploit the data to which it has access, this much talked-about black gold that slips through its fingers whereas it is making a fortune for the Gafa. We could be pessimistic and think that the insurance industry will never master the data volumes at its disposal, bearing in mind the mirage of big data in which insurers have invested billions with very mixed results. We will become resolutely optimistic as we watch the insurtechs show us the way by answering a simple question: master data, yes, but which data, for what purpose and how? Above and beyond the customer experience it is trying to revolutionise, Alan has made health consumption data the cornerstone of its model. And it is truly seeking to improve its customers’ health, not only sell insurance It includes prevention de facto in its value proposition. So what are the major incumbents waiting for to react and counter Alan and its few thousand insurees, who do not weigh heavy compared with the millions of insurees for the major brokers and the tens of millions for the insurers? Probably to be able to identify the data they want to collect and determine how they plan to use them and how they can access, process and restore them, etc. This much talked-about smart data that is so close seems out of reach for an industry that has not yet incorporated data as the basis for its new services. Developing good business intelligence tools is expensive because it almost entails developing “another” information system (IS) – moreover, we speak of “decision-making ISs” as opposed to “operational ISs”. The insurtechs do not ask themselves these questions, because data are at the heart of their offer and their technological developments. Programmes like DreamQuark which are driven by AI and self- learning algorithms help insurers better understand customers’ needs and thus improve the quality of service offerings. For example, using DreamQuark let GAN Prévoyance identify contingency, retirement and savings needs, with scoring levels combined with criteria that are not only more refined but also perfectly understandable for customer advisers. And this changes everything: employees are “augmented” by this AI. Building new generation platforms is a necessity at a time when we will soon be submerged by IoT (Internet of Things) data from connected health bracelets, on-board units and smart buildings. 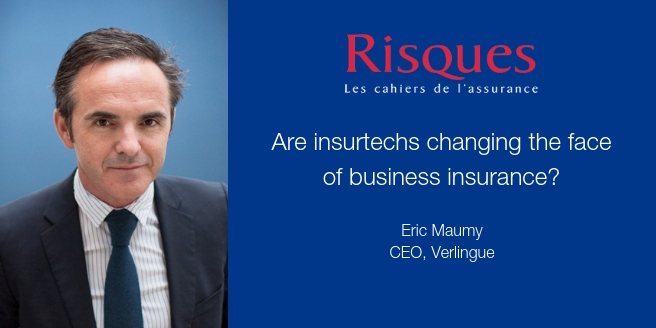 Over thirty years ago, mutual insurers from Niort pushed insurers to reinvent themselves. 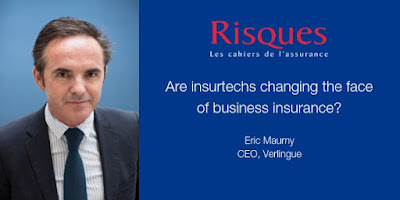 The second wave should come thanks to insurtechs – which the Niort mutual insurers tried to attract to the brand- new Niort Tech incubator – because they can be instrumental in streamlining inefficient management processes, particularly with regard to company risk. In the motor fleet field, the start-up WeProov is rethinking the claim management process. It lets vehicle renters check in and check out online when they pick up or drop off a vehicle, declare a claim online and participate directly in the compensation process involving experts, brokers and insurers. The possibilities are just as impressive in the home insurance sector, with insurtechs that automate low value-added tasks. Aukazou, a start-up incubated within the Saretec group (a company offering expertise, repairs and advice), handles formalities like claim declaration and damage appraisal and puts private customers in touch with partner craftsmen from the Saretec network. This approach can be transposed to the hundreds of thousands of water damage claims handled by real estate professionals. At Verlingue, we started our digital transformation back in 2006 by disrupting and digitizing our corporate fleet insurance management processes. Our customers issue their green cards online, declare and track their claims on our platform Easy@ccess, access our network of approved repairers, benefit from rate commitments and services like remote appraisal and follow the compensation process online, with an option where drivers can manage claims themselves using our mobile app. As a result, 90% of green cards are issued online and 80% of claims are handled by approved repairers. Within the company, this lets our consultants handle higher value-added tasks within the customer service framework and keep improving our user satisfaction rate, which currently stands at 98%. This transformation, which we have also implemented for supplementary employee benefits by reinventing the customer experience with Apple-inspired ergonomics and design, has enabled us to create a great deal of value. Subsequently, as we grew larger, we realised that innovation was becoming less natural. It was time to get a grip, and the insurtechs were an excellent stimulus pushing us to “agilise”. “Agilise” is the verb in vogue among incumbent firms. “Agilization” is a reality, not an abstract concept. Because the insurtechs’ strength – and our weakness – is indeed agility. First of all, the agility of their “technological platforms” which they develop as they build their offers and which run on the most innovative technologies and are updated virtually daily. Opposite, incumbents have a particularly heavy legacy, owing to rigid ISs that incorporate innovative technologies and functionalities with difficulty (or at enormous cost). Insurtechs had appeared on some of our markets. This was a real eye-opener. We met with some of these start-ups. Sometimes we partnered with them and got back on our upward digital trajectory through lightning transformations in borrowers’ insurance with Assur@ccess and in insurance for real estate professionals with Immo@access, where we respected the sacrosanct rule of time-to-market… It’s better to rapidly develop a basic version than have a super-sophisticated one that arrives too late. These successes haven’t gone to our heads. They have revealed the cultural revolution we had to launch and the need to reinvent our operating and working procedures. After setting aside a few months for choosing a partner in test and learn mode, we teamed up with Onepoint, a firm specialised in assisting and advising companies with the digital transformation process. We introduced a digital transformation plan baptised “Be Digital”, one of whose first achievements was the creation of a digital factory. Based in Nantes – a city chosen because of its entrepreneurial dynamism in the digital technology sector and its ease of access for our group’s 1,800 employees in Europe –, this structure brings together multidisciplinary teams, Verlingue employees, service providers and above all customers, with whom we are inventing new service models, rethinking our existing solutions and fluidifying our customer experience. We have also been fortunate to benefit from an exceptional digital ecosystem in western France, as can be seen from the map drawn by West Web Valley.⁴ This investment fund, backed by Breton entrepreneurs, Arkéa bank and the Public Investment Bank (Bpifrance), aims to create a Silicon Valley in the Brest region. Among its founders, Ronan Le Moal, General Manager of the Arkéa banking group, has shown the way by launching his group’s digital transformation via partnerships with fintechs and acquisitions of start-ups like Leetchi, Pumpkin, Younited Credit and Linxo. Fintechs and insurtechs will likely flourish in Brittany following Arkéa’s unveiling, in July 2018, of its new project, Bresst, designed to bring together and back fledgling fintech firms. Arkéa provides an interesting example because it shows that cooperation with start-ups offers a very effective means of transforming one’s company while exploring new territory. Although agility is indispensable for successful transformation, it implies major cultural and organizational changes for incumbents, as can be seen from the excellent article “Forks in the Road: Navigating Industry Disruption” by Boston Consulting Group.⁵ The authors stress the need for the most successful organizations to become ambidextrous by combining the logics of standardization, continuous improvement and economies of scale backed by top-down management with logics of experimentation and entrepreneurship built around flexible, decentralised teams geared to the long haul. The authors provide some clues as to the way forward. Here at Verlingue, we have drawn on this approach and appreciate the difficulty of resolving this complex equation. 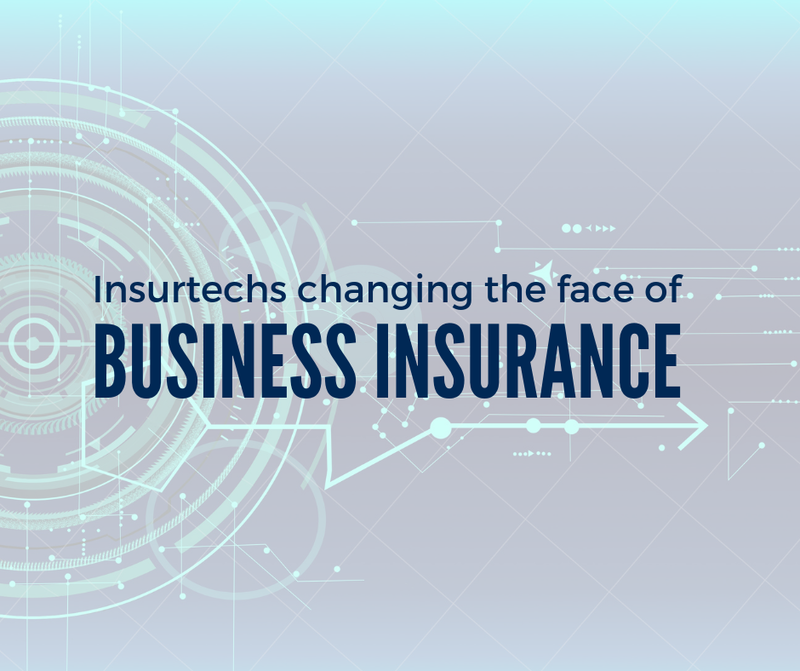 The insurtechs are changing the face of business insurance for the better, and we have a historic opportunity to seize. Cooperating with them, drawing inspiration from their methods, forging partnerships or even buying them up… The objective? Transforming our value proposition and rethinking our business models. 1. Barometer Trusteam/Ipsos, 2016, and Deloitte study, 2017. 2. Panorama Insurtech Database, McKinsey.